Sasha Waltz & Guests new project in co-production with Volksbühne Berlin deals with a society which, within the sceneries of its perfect living spaces, has lost sight of the world. Through states of groundlessness, the choreography with 12 dancers drifts into a revelatory process. Guest performance by Sasha Waltz & Guests in VolksBühne, Berlin. In 1996, Allee der Kosmonauten was the first premiere at the newly founded Sophiensæle in Berlin Mitte. Created at the cusp of a new epoch, the piece recounts an era of living together without an escape route. In a housing block in former East Berlin, feelings and movements of a three generation family build up dangerously around their living room couch. The uncomfortably comical exploration of this anxious space, crowded and colliding, triggers solutions at the limits of danceability. DAU is an ongoing experiment, evolving from a biopic about a Soviet physicist into a large scale project - part cinematic cycle, part behavioural experiment - involving hundreds of participants from around the world. Combining elements of film, theatre, science, psychology, architecture, visual arts and performance, it has created a complex and absorbing world that has to be lived as much as seen. It’s release will take place in Paris, 2019. Sasha Waltz & Guests has been invited to participate the experiment as part of the research project for its new choreographic work ‘Rauschen’. On 23rd August 2018 the new creation »Exodos« by Sasha Waltz & Guests will have its world premiere at the Radialsystem V, Berlin. The production is a coproduction with the Ruhrtriennale – »Exodos« will be performed during the festival at the Jahrhunderhalle Bochum in September. In Exodos Sasha Waltz investigates the collective body of those who go out in order to immerse themselves in each other and to escape from themselves; searching for ways out of material space to be able to enter spaces made up of sound and light. In modern Greek one meaning of ‘exodos’ is to go out like this – enjoying nightlife, visiting bars and clubs that often include the word in their names. However, ‘exodos’ also means escape as well as the specific destination one is escaping to. In the theatre the word means leaving the stage and with it also the moment when the mask of performance is removed. Interdependent relationships exist between these different levels of meaning: one flows into another and it is possible to sharpen this discourse through the language of movement. Waltz traces excess back to transgressive ideas of movement in which the concepts of bacchanalia and ecstasy have their etymological origins. Dance reveals itself as a technique for summoning states of exception in which humanity can comprehend itself. Exodos is produced to mark the 25th anniversary of the company Sasha Waltz & Guests. This new creation is linked to the existential themes of its precursor, the project Kreatur (2017), and further evolves the forms of expression used there. On the 100th anniversary of his birth, C/O Berlin is commemorating Irving Penn with a major retrospective. 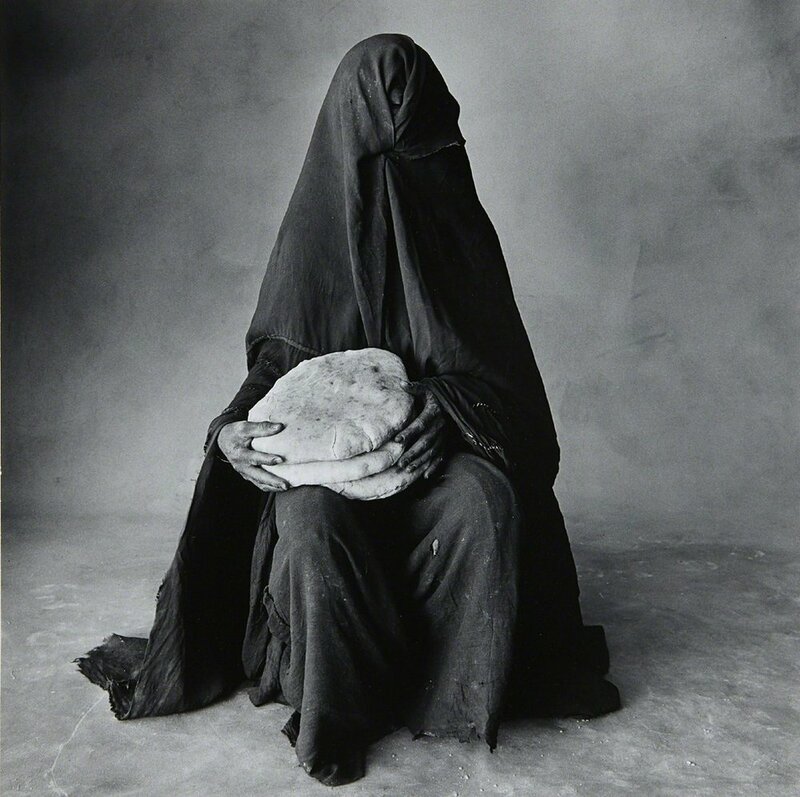 The exhibition featuring around 240 works was organized by The Metropolitan Museum of Art in collaboration with The Irving Penn Foundation. Still/Life, as part of the exhibition based on the work of Irving Penn entitled 'Centennial' , C/O Berlin presents a Matinee with the Dancers of Sasha Waltz & Guests; Jirí Bartovanec, Peggy Grelat-Dupont, Hwanhee Hwang, Annapaola Leso, Nicola Mascia, Zaratiana Randrianantenaina, Corey Scott-Gilbert & Stylianos Tsatsos encounter with Irving Penn legendary photographic work. They appear silently and seemingly out of nowhere; their movements are fleeting, spontaneous, and delicate one moment, and expansive the next; some suddenly leave our field of vision and disappear from the room: Dancers from Sasha Waltz & Guests make their debut at C/O Berlin on occasion of the exhibition Irving Penn: Centennial. In scenic interactions with the photographs, the soloists draw inspiration from Irving Penn’s multifaceted work. Through the movement and stillness, and the presence and absence of the dancers, Penn’s pictures become three-dimensional, creating surprising visual moments for the visitor. In 1996, the world premiere of »Allee der Kosmonauten« by Sasha Waltz & Guests was the very first production at the Sophiensaele. Since then, its choreographic approach has become legendary: Sasha Waltz' bizarre scenario of three generations living together in a prefab-housing estate – is coming back to Berlin in May. Within this confined space, the feelings and movements of three generations of a Berlin family build up dangerously. The inhabitants bury their feelings in lethargy or abandon themselves to feedback loops caused by cramped living conditions. The choreographic encounter with this anxious space, crowded and colliding, triggers solutions at the limit of danceability. The lack of tenderness gives rise to uncomfortable comedy. Avenue of the Cosmonauts is one of a number of early Sasha Waltz projects which explore everyday worlds as spaces for dance interpretation. Created at the cusp of a new epoch, the piece recounts an era of living together without escape routes. The 10th ARC For Dance Festival in an original collaboration with the National Museum of Contemporary Art, Athens (EMST) and on the occasion of the International Museum Day, 2018 by ICOM, explores with new site-specific works through the ARC_hitects; choreographer Ioannis Mantafounis and performance & installation artist Stylianos Tsatsos, the fluid boundaries between dance, music, installation and performance, the interdependent movements of the audience and the artists, its soundscapes and the evolution of these in relation to the archi-structural body of the museum-organism itself in its real and symbolic dimensions. Can Archaeology help us deal with the identity crises of our contemporary world? Can art help bring secrets still hidden in the earth to the surface? Can we redefine our national identity through a critical approach to the fragments of our past? Is there such a thing as a socially-engaged archaeology? Can we envision the future of a city through the prism of alternative interpretations of its monuments, contemporary and ancient? The 5th Fast Forward Festival focuses on Archaeology as a discipline which engages not with continuation and immobility but with rifts, discontinuities and transformations on the boundary between scientific method and fiction. The Onassis Cultural Centre (OCC) sets out in search of temporal rifts in the liminal zones between myth and testimony, experience and imagination. The FFF5 is bringing together art and science, it sets out to propose a non-linear approach to history through the multiple temporalities of the material. Artists working in Greece and internationally will explore the defining role Archaeology plays in forming national narratives and collective memory along with its dialectical relationship with cultural heritage. The Primary Fact; An Ancient Greek mass grave with 80 dead prisoners was discovered two years ago in Paleo Faliro. The Japanese visual artist Hikaru Fujii returns to the FFF5 and after extensive research, in collaboration with the choreographer Patricia Apergi, Aerites Dance Company and the people in charge of the archeological excavation, he turns his eye to this astounding find, spotlighting the "dark" pre-Golden Age Athens of the 7th century BCE. The audiovisual installation that he mounts in an emblematic building of the academic community, the former Chemistry building, which is now the Law School library, includes interviews with those in charge of the excavation – from archaeologists to dentists – and the reenactment of the execution and the burial by a chorus of young Athenians. Re: ῥεῖ START is a performance piece created in dialogue with the art works and sculptures of the artist Marianna Lyra. In an abandoned car workshop on Syngrou Avenue, the painter and sculptress set up last year the artistic project ῥεῖ START, combining painting, sculpture and installations. "Re: ῥεῖ START" suggests : nine performers to present an original score of "physical narrative" - as the collective group describes it - in which the "re-start" acts as a "threshold" for the viewer to discover new ways of viewing the work is space and time. The Greek National Opera - GNO - Stavros Niarchos Hall, Stavros Niarchos Foundation Cultural Center, celebrates the FRENCH OPERA CYCLE and the 200 years since the birth of Charles Gounod. Charles Gounod’s 5 act opera Roméo et Juliette is being staged for the very first time in the GNO’s history and is the first of a series of works from the French repertoire which will be presented by the GNO over the next 3 years. The research project for new creation of 'The Thread' has already began. 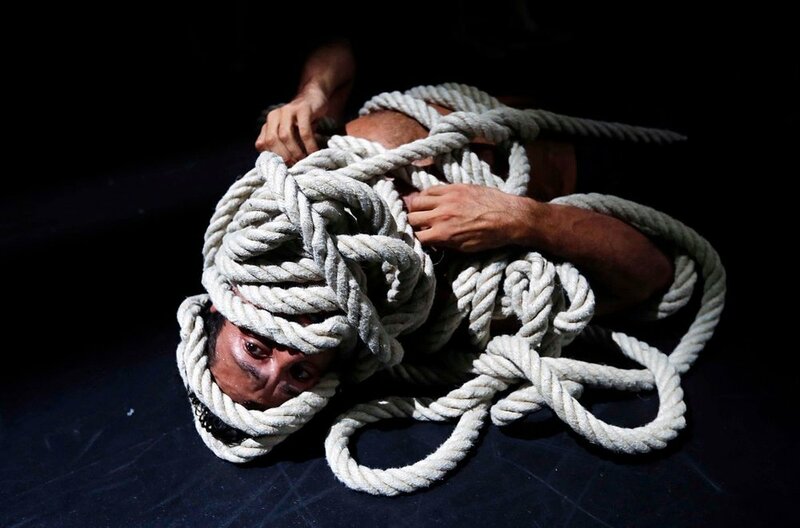 The Thread is a dance performance, staged by acclaimed British choreographer Russell Maliphant and set within the explosive electronic music of world-renowned and academy award winner, Greek composer Vangelis Papathanasiou. The artistic vision is completed by Michael Hulls’ innovative light design and Mary Katrantzou’s imaginative costumes, along with a cast of 18 dancers on stage. The piece is scheduled for its world premier as part of the Sadler's Wells 2019 season. World tour dates to be announced. For the Season Opening 2017/18 of Kampnagel Theater, Hamburg, Maria Magdalena Ludewig & Guests exercise rituals of grief. No society can make do without them. They define the community, offer support and celebrate death as a part of life – many of them have been forgotten. Death has become a private failure or a medical mistake. Showing sadness and pain openly threatens routine productivity. EXERCISE IN MOURNING created by Maria Magdalena Ludewig, Stylianos Tsatsos, Marie Stolze & Rainer Casper commemorates 60 hours performance piece of an emergency state, a collective practice in grief – intense, exhausting, restless, radical. Andonis Foniadakis is an internationally renowned dancer and choreographer, resident choreographer of the Greek National Ballet Opera and founder of Apotosoma dance Co. Through his talk for TEDxAcademy 2017based on Human Dimensions, he will discuss the ways in which art has shaped him as a person. Singing Stones, curated by the Palais de Tokyo’s Katell Jaffrès, brings together 11 emerging artists from both the French and Chicago art scenes, as part of the first Hors les Murs exhibition in the United States, in partnership with the Institut français. Presented within The Roundhouse—a 17,000 sq. ft space built in 1881 and designed by Burnham & Root—at the DuSable Museum of African American History, the exhibition will present an intimate dialogue between original productions and pre-existing works to open during the sixth edition of EXPO CHICAGO, and will run concurrently through the 2017 Chicago Architecture Biennial. The exhibition design will involve a strong architectural component through a partnership with the Graham Foundation with Guest Designer Andrew Schachman, to collaborate with Jaffrès on a singular approach to the space and exhibition design. 'Score for machines and bodies' a work by Thomas Teurlai & Stylianos Tsatsos created for the 'Prec(ar)ious Collectives' exhibition in Athens parallel to Documenta14, will be shown during the 'Singing Stones' exhibition in Chicago. In partnership with EXPO CHICAGO, alongside The Chicago Architecture Biennial, in collaboration with the DuSable Museum of African American History, Mana Contemporary Chicago, the Graham Foundation, and The Cultural Services of the French Embassy. The Artistic director of the GNO Ballet, Andonis Foniadakis, choreographs a two-dimensional performance and distributes the scene to the discipline and strict structure of the Ballet dancers of the Greek National Opera, and to the bodily, anti-conformism and freedom of contemporary dance in a collaboration with 12 freelance dancers from the greek scene, maintaining as a common denominator the movement dialogues, accompanied by the evocative music scores of Philip Glass (Koyaanisqatsi emblem and from Façades, company movements I & II from the quartet no 2 Symphony no 3). In parallel to documenta 14, Palais de Tokyo and its research lab, Pavillon Neuflize OBC, the artist-in-residence programme of Palais de Tokyo, alongside the artists - choreographers of Foundation Fluxum/Flux Laboratory, present “Prec(ar)ious Collectives”. An exhibiton/performance which questions the notion of community as a situation and not as a subject to illustrate. The ambition is to invent, the time of an experience of collective creation, a fictional “us” as a way of escaping the assigned identities. 'Details of score for machines and bodies' a work by Thomas Teurlai & Stylianos Tsatsos. Original cast: Stylianos Tsatsos, Ioulia Zacharaki. 'Untitled_23' a work by Wataru Tominaga & Stylianos Tsatsos. Original cast: Stylianos Tsatsos, Dimitra Vlachou. Sasha Waltz & Guests shortly before the official opening of the Elbphilharmonie Hamburg, invites the audience for a choreographic and musical exploration of the space inside. The choreographic Installation » Figure Humaine « by Sasha Waltz & Guests involves about 80 musicians, singers and the dancers of her compagnie, inaugurates the Foyers and passes through the Grand Hall of this extraordinary building . Participant piece in the solo creations category for the 21st International Contemporary Dance Festival of The Canary Islands, Masdanza21. In 2016, choreographer Helge Letonja undertakes the artistic questioning of Gerhard Bohner 's Ensemblestück as a creative dialogue with the dance story with "Two Giraffes Dancing Tango - Bremer Schritte". 36 years lie between the work of one and the other choreographer. A production of Steptext dance project in coproduction with the Theater Bremen. In cooperation with the German Tanzfilmstitut Bremen and with scientific advice from the Academy of Arts, Berlin. The Hellenic Dance Company and the artistic director Pavlina Veremi, bring to the scene of the Athens & Epidaurus Festival (2015) / Megaron Athens Concert Hall (2014), the modest performance entitled "Open Frontiers", aiming through the four selected choreographic works of Martha Graham, Akram Khan, Anton Lachky, Pascal Rioult to arise public awareness about social conditions and the deep existential crisis of our times.